It’s becoming a summer ritual, but nothing fun like going out for ice cream or sitting outside enjoying the sunshine. Nevertheless, it begins every year around this time. We are preparing for battle against the squash vine borer. I’ve written extensively about this problem before and always hope for the best. This summer we found vine borer eggs on our yellow squash and zucchini plants. They are hard to spot — very tiny light brown eggs laid on the plants not in clusters but individually. My new nightly ritual for the next few weeks will be inspecting every inch of the plants, picking off and crushing any eggs I find. Also, we’re taking a proactive approach and injecting each stem with Bt, a natural bacteria that can kill the borer if it hatches and tunnels into the vines. If the past few years are any indication, we’ll lose at least some of the zucchini and squash. If it happens again, we’re done with zucchini for at least a year or two so it can move on to someone else’s garden. Close up on the SVB eggs, unusual for them to be on the flower. We came home from a camping trip two weekends ago and were excited to see how our garden was doing. 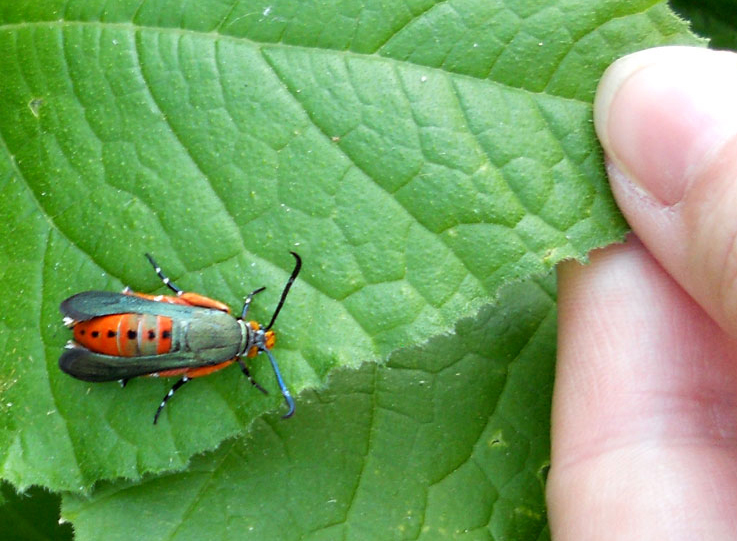 Everything looked great until we spotted it – the adult version of the squash vine borer. There it was, just sitting on the zucchini leaf minding its own business. These have been a terror in our garden for the past three years, destroying our squash plants. Ever since the first year, when our plants were perfectly healthy then dead within days, we’ve been watching for this. I thought we were in the clear this year, but I was wrong. In a weird way, I’m glad we saw it. I wasn’t as diligent about checking for any signs of the squash vine borer because everything was healthy and doing well — no yellow leaves, no wilting. I think our beneficial nematodes really helped because they killed most of the cocoons that might have overwintered. But, seeing this adult reminded us that we’re not in the clear, and we still need a plan of attack. Maybe the third time really is the charm. While I feel it’s too early to say we’ve won our long battle with the squash vine borer, all signs are pointing to success. I despise this little creature and it’s been the bane of my gardening experience for the past three years. First, a bit of background. 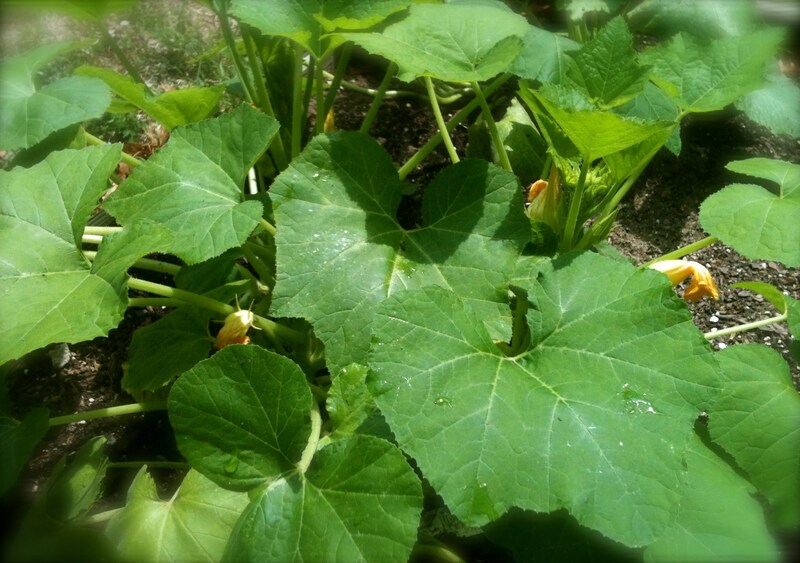 Three years ago we were happily watching our zucchini, yellow squash and cucumber plants bloom and blossom. I even picked one yellow squash on the plant and was looking forward to more to come. Then one day, we went out to check on the plants and saw those three were brown, wilted and dead. It really seemed to happen overnight. Being new to gardening, we couldn’t figure it out. We watered them enough, kept weeds out and they had plenty of sunlight. So what gives? After some research on gardening websites, we learned that it wasn’t really our fault. It was the squash vine borer that ravaged our plants. It was already too late in the season to find any new plants, so we chalked it up to a loss and decided to try again next year. Last year we were prepared for battle, knew what to look for and were ready to defend our zucchini plants. But it still happened. I noticed a little bit of wilting and then saw the entry hole in one of the stems. Armed with toothpicks and a paring knife, I slit open the affected stems, found the borer and stabbed it with the toothpick. Then we covered the hole with dirt and hoped the plants recovered. The good news is they didn’t die. The bad news is they didn’t produce any more fruit. 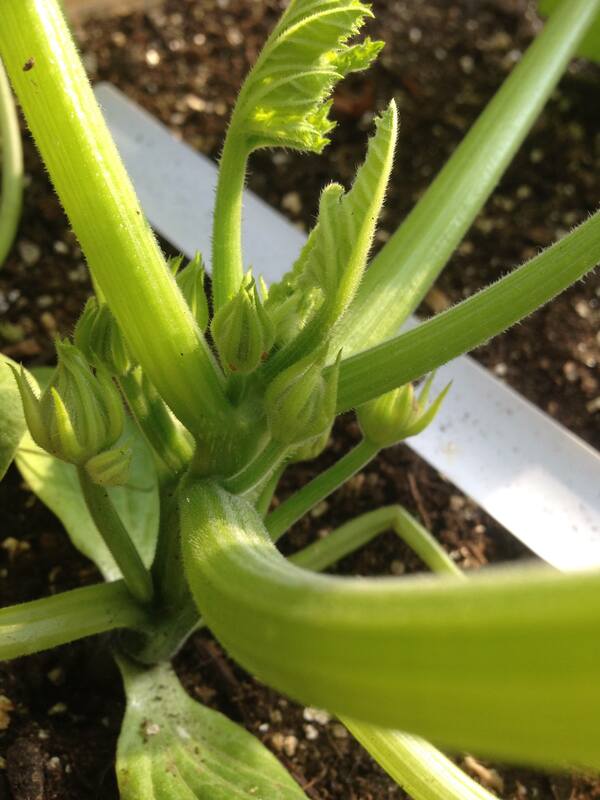 And if a squash did start growing, it seemed to shrivel up as quickly as it grew. Our yellow squash plant is doing much better this year than it has in the past two summers. We’re still a bit wary of the squash vine borer killing these again. Which brings us to this summer. I am determined to grow zucchini and cucumber and beat this damn borer. Here was our plan this year and so far it seems to be working. New location. We moved the squash plants as far away as we could from the bed it was in last year while still getting it full sun. Planting late. Usually we plant everything in mid- to late-May. This year we waiting until late June to avoid the breeding/egg laying season of the wasp-like adult borer. Obsessive checking. I thoroughly researched (again) what the egg sacks looked like and studied pictures of frass (made from the borer’s entry hole). Every day, I examined the stems for signs of it and crushed anything I thought was an egg sack. This also meant slicing open the stem of a cucumber plant that died to check for the squash vine borer (I found nothing). Plant a back-up. We also planted another zucchini plant in a pot and placed it far away from the ones in the bed, so if either succumbed to the squash vine borer, there would be another one growing. Luck. While we tried to do everything right, sometimes things get missed. I did notice a couple breaks in the stems (which I later learned are called healthy splits), and we did lose one cucumber plant, but right now the squash plants are full of blossoms and looking healthy. This website has some good information and pictures of the squash vine borers. The discussion in the comment section is also helpful.